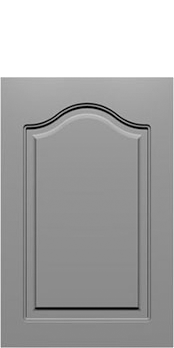 The 20RC (MDF) is a traditional arch-top door made of solid MDF (Medium Density Fiberboard) and one-piece construction. 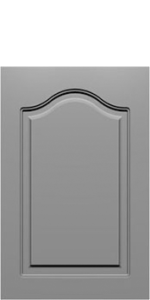 Since MDF is resistant to expanding & contracting this door design is a perfect for a traditional door design in a painted kitchen. Available in painted MDF using any of our Colortone paints, custom Prism paint collection, or Primed (customer to finish) paints. Also available in raw (unfinished) MDF. B-2, C-2, E-2, H-2, J-2, LC-2, L-059, L-061, L-149, L-348, L-686, PRS-2, & V-2. Yes - Standard lite configuration only.